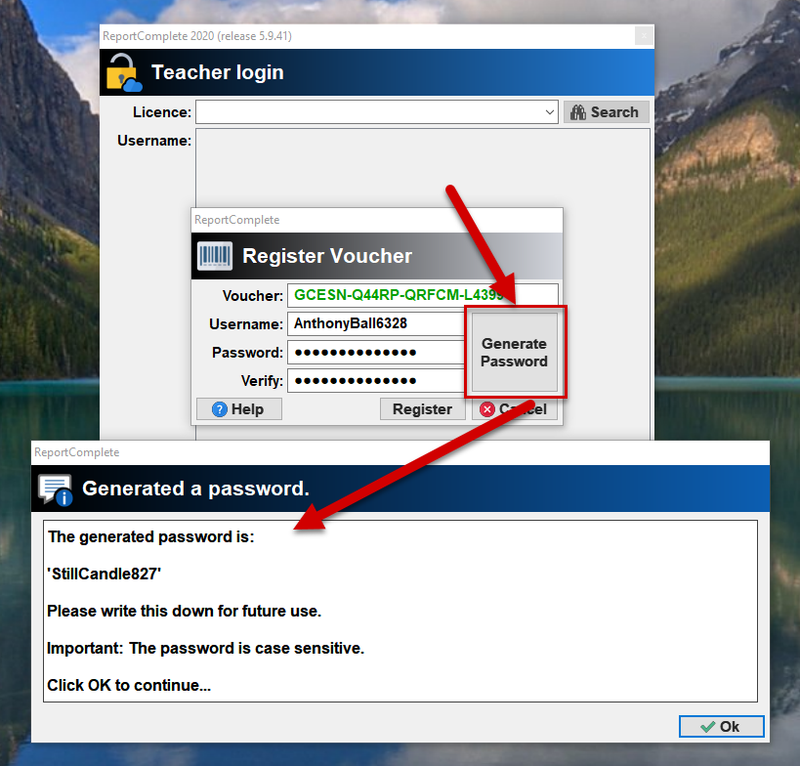 Once the program appears on your Windows Desktop/Mac Applications folder you need to enter the 'Single User' voucher code you have bought from reportcomplete.com. 1. 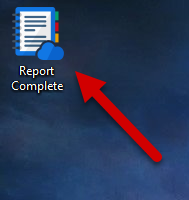 Double-click the ReportComplete icon to start the program. 2. You will see the initial login window. As well as logging in you can also add the voucher code using this window. 3. Enter the voucher code, an incorrect or partially entered code will make the word 'Voucher' appear in red. 4. A correctly entered voucher code will turn the word 'Voucher' to green, you should then click 'Search'. 5. Create a username (a random name will already be entered). 6. Enter a password, the same password should be entered in the both the 'password' and 'verify' boxes. You can use the 'Generate Password' button to create a password for you. Click 'Register' to register the voucher code to the username. 7. Once ReportComplete starts you will see your username and licence expiry date in the program title bar. This page was last modified on 5 March 2017, at 00:38.